I managed to grab 20 minutes of Mikkel Svane’s time in LeWeb to interview him on the evolution of Zendesk and some of the thinking they had behind building a world class company in just a few years. 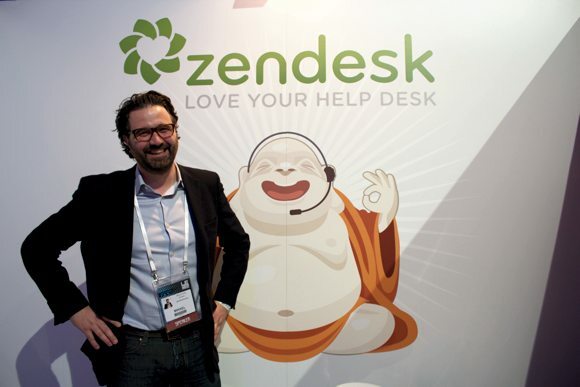 Zendesk isn’t just your usual startup, if there really even is one. Zendesk very early decided to move its headquarters to the States after raising their second round in 2008. The company focuses in providing the very best help desk solutions online, which only aren’t extremely easy to use and integrate, but also beautiful. Zendesk’s birth was inspired by the day jobs of two of the three founders. 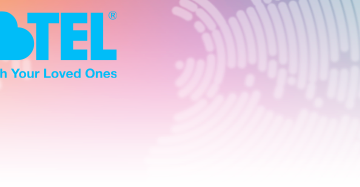 They worked with a company implementing help desk software and saw how expensive, hard to use, hard to integrate and poorly integrated to the company the existing solutions on the market were. Svane, who’s one of the founders and also the current CEO of the company confirmed that too often help desk solutions are deep silos in some distant end of the company that don’t communicate with other parts of the company at all. Svane wanted to turn this around with his co-founders, they wanted to put the customer, the help desk client in the focus. This bet has paid off very well for them. Amidst of the current economic crisis, companies are looking for ways to retain customers even through help desk solutions instead of pushing them away only to spend big marketing money to acquire them back later. Zendesk is currently around 150 people strong in four different locations. The largest site is in Silicon Valley, but London and Melbourne also host the company’s Europe and APEC operations, respectively. In Denmark, the company has a small development team in Svane’s home town. The company currently grows at 30% rate, quarter over quarter. It has taken in three rounds of financing, totaling some $25 to 26 million. The most recent round was $19 million just about a year ago, led by the Matrix Partners. When I asked is the company profitable, Svane gave out a laugh and told me after a little hesitation, “well, we don’t disclose this at the moment”. But looking at the growth and the amount of funding, it won’t be too far away if they haven’t already reached it. 65% of the company’s business is coming from the Americas, 25% from Europe and some 10% from APEC making the company truly global. Some of the world’s largest and fastest growing companies companies use Zendesk. Groupon and Zynga are both Zendesk’s customers, but even so the product appeals to smaller companies outside the internet sector. The fundamental thinking behind the product is to create a solution where the customer is put in focus and they are helped in the most affective way. Svane also gave a personal example of this. Every night he uses their mobile tools to go through the day’s customer feedback and discussions at their own help desk to better understand what’s worrying their clients. The current situation in Europe doesn’t really worry Svane. He states that out of crisis come some of the most innovative solutions available. He also talked a lot about the tough times the larger corporations are facing. According to him, they need to become more agile and quicker to adapt to the surrounding environment or otherwise smaller companies will take them over. An example he gave of this is the cloud, it’s so dramatically changing the cost structure of services available that the huge investments required by larger companies become almost ridiculous. Before ending the interview, I asked if they see themselves as a large company given all the growth. “No no, we still consider ourselves very much a startup”.